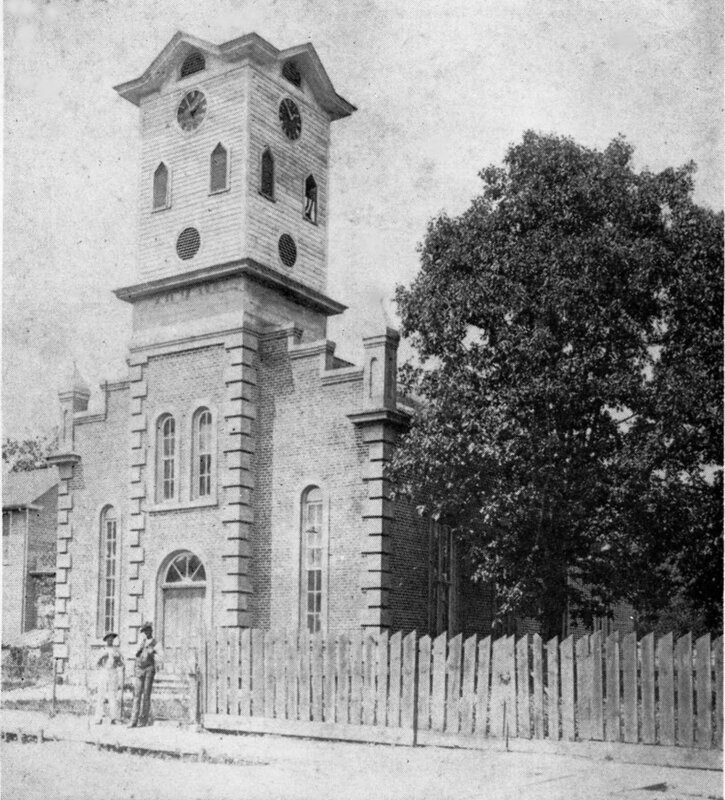 The 2nd Methodist church, once stood on Main Street, also housed the Rock Hill City clock in its tower. The 3rd location of St. John's Methodist Church was on the corner of East Main and Caldwell streets. In 1897, the Methodist Church’s second building on Main Street, was damaged by a fire associated with a nearby residence on Main Street. Since the building had become inadequate to house the growing congregation, the church leaders decided to invest in a new building rather than repair the old one. The new building was built just to the east on Main Street at the corner of Caldwell Street and East Main. The acquisition of the property involved a complicated series of legal transactions but eventually an impressive Gothic building was completed in 1897 and remained in use for several decades. By the 1910’s members began needing space to park their automobiles and expand the seating capacity of the popular church. 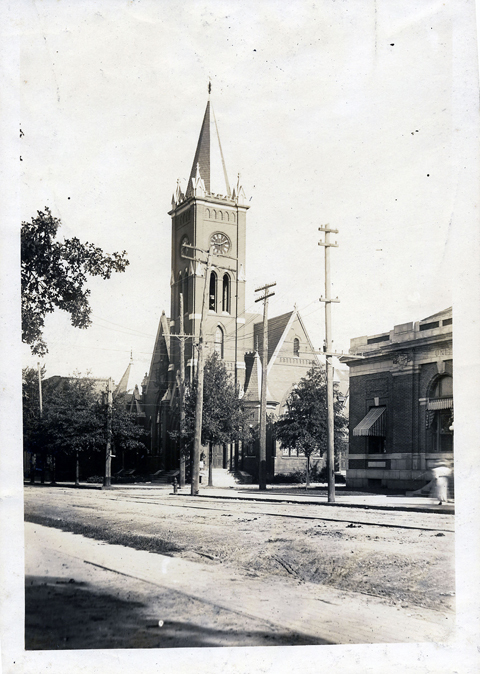 The church on the corner of Main and Caldwell, where Amelie’s Bakery currently operates in 2017, was razed to make room for a new bank building and the Methodist church purchased the large Witherspoon home and parcel on the corner of East White and South Oakland Avenue. The Herald reported, Jan. 10, 1925 - featured a special section on the new - St. John's Methodist Church, which would officially open Jan. 18, 1925. And later it the Herald reported, March 27, 1934 - "The Herald is glad to state to its readers, that an up to date pipe organ is being installed in St. John's Methodist Church. The material has all arrived and two experts are in the city to assemble the various parts. The organ will be placed directly back of the pulpit." This is the fourth location of Saint John’s United Methodist Church in Rock Hill.